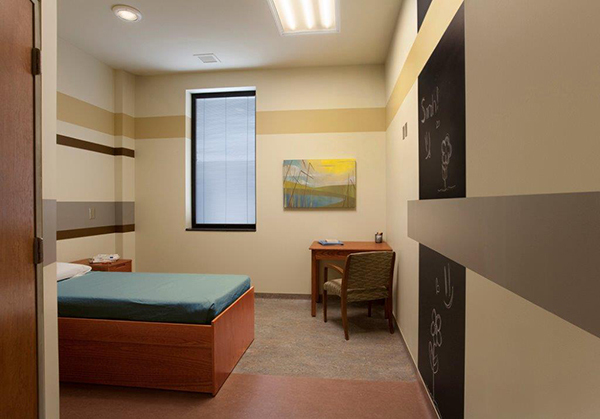 Paragon is a treatment program that provides intensive, psychiatric services to youth ages 10-17. Our program is located in Maple Grove, Minnesota and provides services to youth from around the state. We are the midwest's most intensive and comprehensive residential program. Paragon’s treatment program is overseen by a board certified child and adolescent psychiatrist who leads the clinical services and provides weekly psychiatry care to our residents. This level of involvement and oversight by a psychiatrist who specializes in children and adolescents allows us to offer the highest caliber of psychiatric care to youth with chronic and complex mental health issues. Our treatment model includes the entire family, and embraces both psychodynamic and dialectical behavioral therapy (DBT) informed methods. We consider each individual’s cognitive, emotional, developmental, relational, family and spiritual needs while thoroughly evaluating and addressing all underlying psychiatric conditions. Treatment goals and plans are made in collaboration with each individual and their parents and guardians. Paragon also offers an after-care component in which residents who are transitioning out of 24 hour care can continue working with our psychiatrists and therapists for several months. Families and youth access services at Paragon in a variety of ways including referrals from other care professionals. 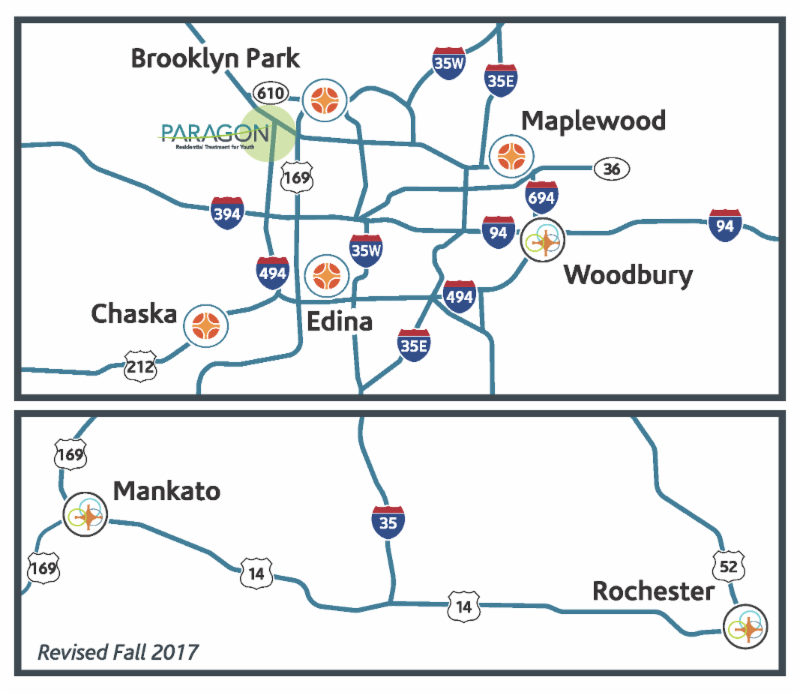 If you would like more information about Paragon please call us at 952-826-8400 or visit us at www.paragontreatment.com. Nearly one out of five children will suffer from symptoms of a diagnosable mental illness, and approximately 70 percent of those symptoms will begin before the age of 14. A vast majority of these illnesses are highly treatable with appropriate evaluation and intervention. Unfortunately, numerous studies have shown evidence that a significant proportion of children in need of treatment for psychiatric disorders, many of them severe, never receive the treatments they require at the level of care that is most appropriate. Currently, Minnesota is facing a shortage of child and adolescent psychiatrists and other specialized mental health practitioners. With this shortage comes the challenge of meeting the overwhelming mental health needs of our youth in Minnesota and across the country. Youth and their families often experience difficulties in accessing appropriate psychiatric care and endure lengthy outpatient waitlists, residential programs that are ill-equipped to manage complex and chronic mental health illnesses and crowded emergencies rooms overwhelmed with patients with psychiatric emergencies. We know that many psychiatric emergencies can be avoided when individuals receive the appropriate treatment at the appropriate level of care. ﻿Paragon is committed to providing high quality, compassionate residential care to children and adolescents with intensive psychiatric needs. Our residential treatment setting allows a team of clinicians to truly assess and provide care for youth and families which provides the foundation for the ongoing stabilization they need to cope with symptoms of their condition and to continue on the path of healthy growth and development. The Paragon treatment program is unique in that it is overseen by a board certified child and adolescent psychiatrist. The Paragon Program is overseen by our Clinical Director, who is a board certified child and adolescent psychiatrist. In addition to leading our clinical team, our Clinical Director also provides psychiatry services to our residents . This high-level of involvement by a psychiatrist is unique to Paragon and allows us to offer the specialized psychiatric care that each of our resident’s truly need. The treatment model at Paragon emphasizes the importance of relationships in healing, returning youth to a healthy developmental trajectory and skill-building anchored in dialectical behavioral therapy (DBT). Every staff member is trained to provide support and mentoring in each of these areas. We believe the quality of relationships our youth have are the key to healing. Our therapists, social workers, nurses and residential counselors are here to provide an environment that is safe and conducive to healing. We understand that mental health symptoms often disrupt the expected development of our youth. We consider each child’s emotional, physical, social, cognitive and spiritual development and tailor treatment goals to help each resident continue on a healthy developmental path. DBT is a highly effective treatment approach for many mental health issues. DBT is integrated throughout the treatment program including daily DBT skills groups. Paragon believes in the respect and knowledge of each individual resident. We believe the youth that come to us have a lot to offer. We encourage each individual to participate fully in their treatment. Resident’s ideas and opinions matter and we encourage each resident to share their ideas and opinions through their treatment stay. Treatment goals and planning are done in collaboration with each resident and their caregivers. Paragon emphasizes parent/guardian/family involvement in all phases of assessment and treatment. In addition to weekly family therapy, our program also provides an educational series that offers support, community and learning to our parents and families. Parents and caregivers are regarded as critical treatment team members and we believe collaboration will increase positive treatment outcomes for our youth. Paragon offers an aftercare program for our residents upon transitioning out of residential treatment. While leaving residential treatment is an exciting time, we know that transitions can be stressful for both the child and the family. Paragon offers an aftercare program that consists of several months of psychiatric care and therapy. Paragon offers a state-of-the-art treatment facility. Each resident is afforded a spacious individual bedroom. The facility offers many common areas and group rooms that allow for various activities throughout the day. The residential facility is professionally decorated with our youth and their needs in mind. Dawn’s passion is working with adolescents and she is dedicated to building strong residential programming for children and families. Dawn brings with her 25 years of experience working with teens in residential settings including corrections, residential group homes and residential eating disorder treatment. As the Operations Director for Paragon, Dawn is responsible for the day to day oversight of the residential program. Dawn works in partnership with our Clinical Director and oversees all aspects of Paragon including clinical leadership, treatment program development, outreach, staffing, and training. 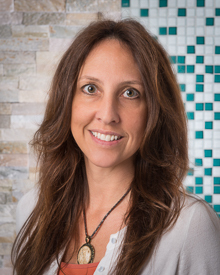 In overseeing the program, Dawn is dedicated to ensuring that every child and family receive the highest quality of care throughout their entire treatment stay with Paragon. 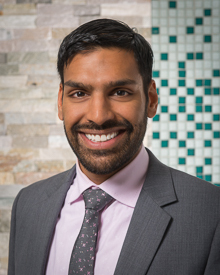 Dr. Joseph joined Paragon in the summer of 2016 as the Clinical Director and primary psychiatrist. Dr. Joseph was instrumental in the design and launch of the Paragon residential program. Dr. Joseph provides clinical leadership overseeing Paragon’s multidisciplinary approach to child and adolescent psychiatric care. In addition to clinical oversight, Dr. Joseph provides psychiatric care to Paragon residents allowing him to assess all aspects of each resident’s condition. Originally from Minnesota, Dr. Joseph returned home from Omaha, Nebraska after completing medical school at Creighton University’s School of medicine and residency and fellowship in child and adolescent psychiatry with Creighton University-University of Nebraska Medical Center Joint Psychiatry Training Program.